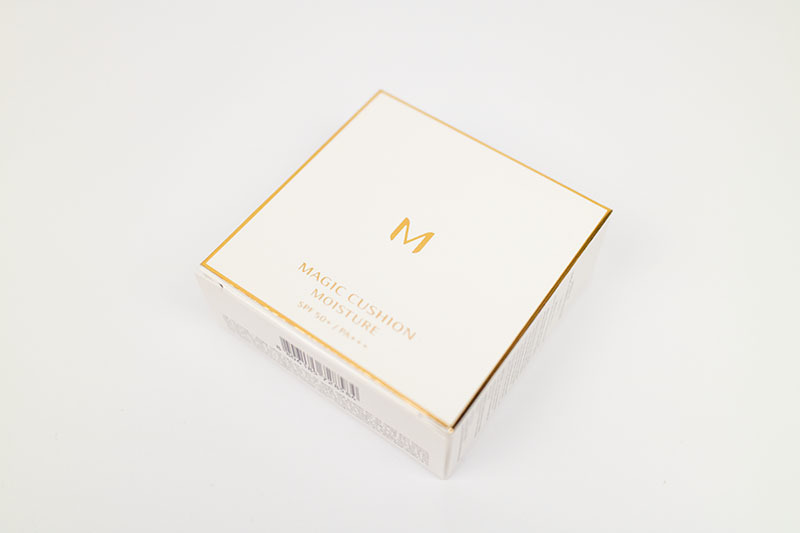 Review: Magic Cushion Moisture (Missha) – Oh My Stellar! 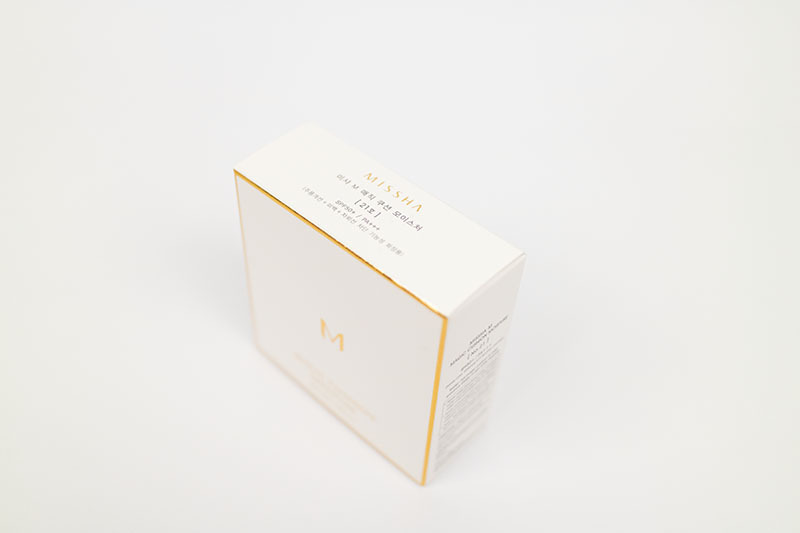 I find that people usually either love Missha’s packaging or they hate it. Sometimes, it can border on being rather dated and overly ornate, but I think that this product is really well balanced. The box has a fresh appearance while the gold foil gives it a really classy feel. It isn’t spectacular but quietly pretty, if you know what I mean. I think that this would be good as a gift. 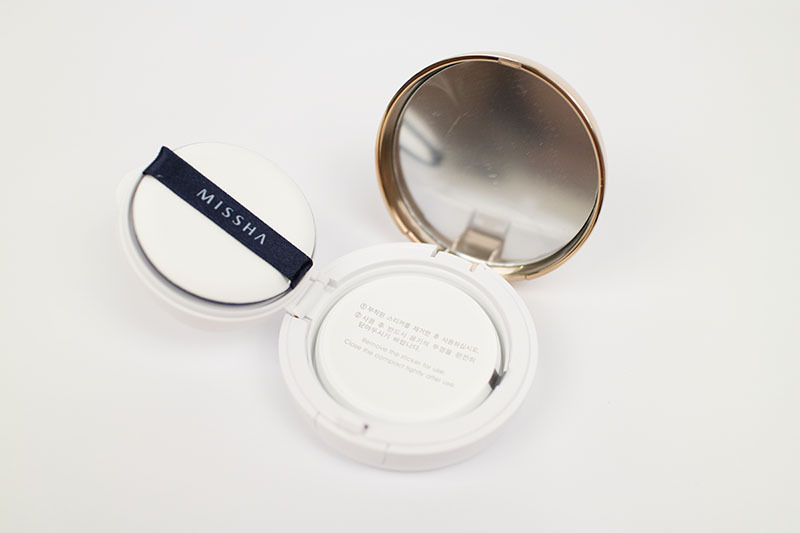 Even though it’s really affordable, it has a higher end appearance (which is to be expected of a brand like Missha). A lot of people also recommend this brand as presents for mothers and anyone older but, to be honest, I like it too! Am I old fashioned? I hope not. I thought that this would be perfect for the colder weather lately, especially since Australia is often pretty dry. I will probably just use more powder to set my dewy bases during the summer. The shade that I picked was number 21. 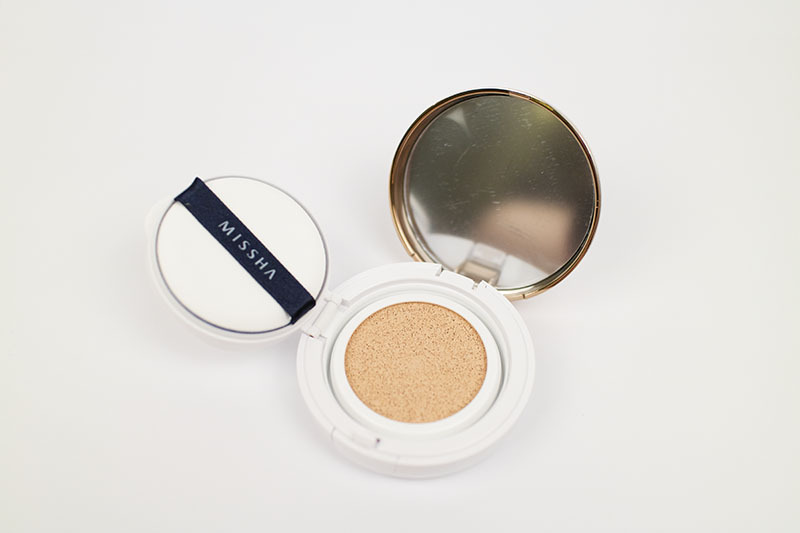 I think the compact is really pretty! 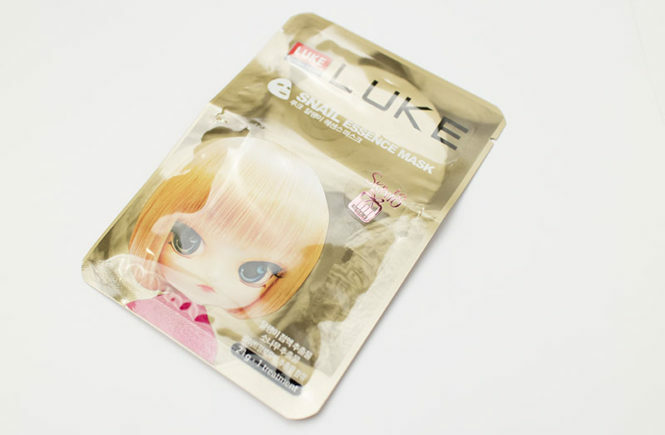 It’s a little bit thicker than some of the ones I’ve used lately (probably because this packaging design is a little bit older) but it isn’t excessive. I still find it really easy to carry around in my bag. The overall case feels very secure, though I get a little bit worried about scratching the edges in my bag because of the thick metallic rim. Metallic ink tends to scratch a lot more easily. The lid clicks in well and the mirror is a pretty decent size. 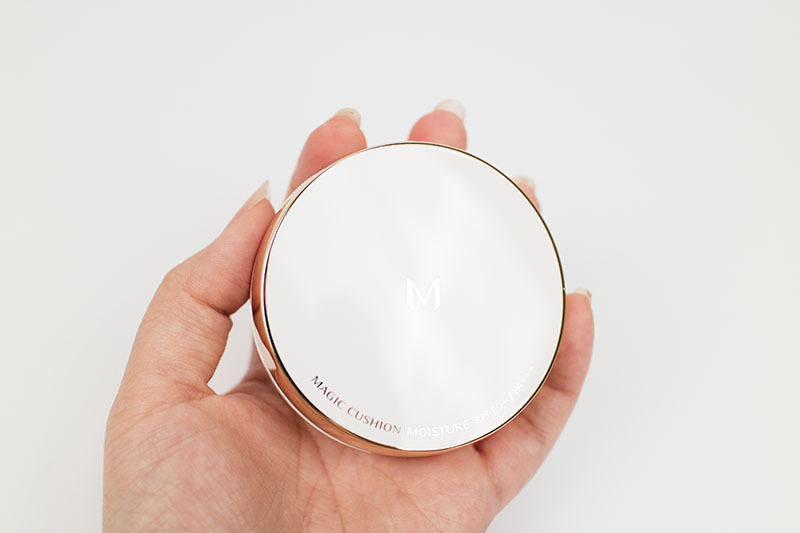 Overall, I think that the cushion compact is pretty standard – no complaints from me and nothing really stand out for me to talk about actually. 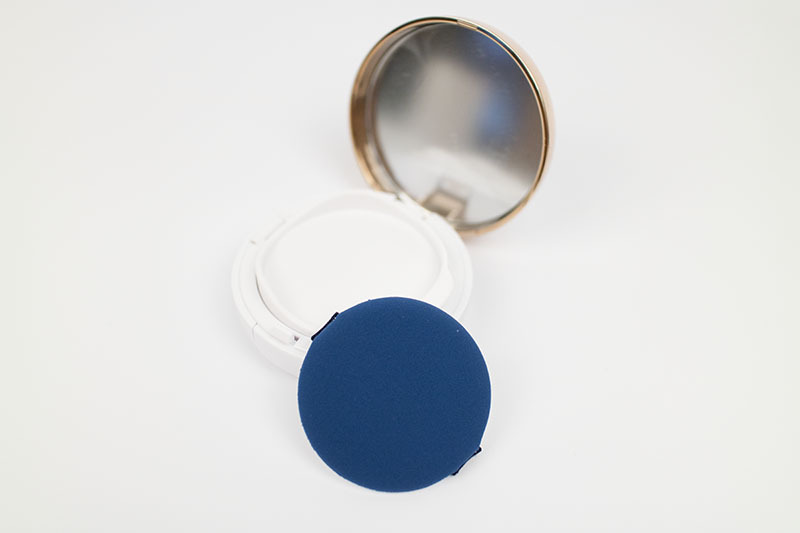 The puff cushion is the standard blue design and picks up the product well while also giving you a nicely even finish. And that’s how the product picked up! The cushion has a nice spring and uses the standard sponge. It’s well saturated, though not as heavily as the Clio compacts. 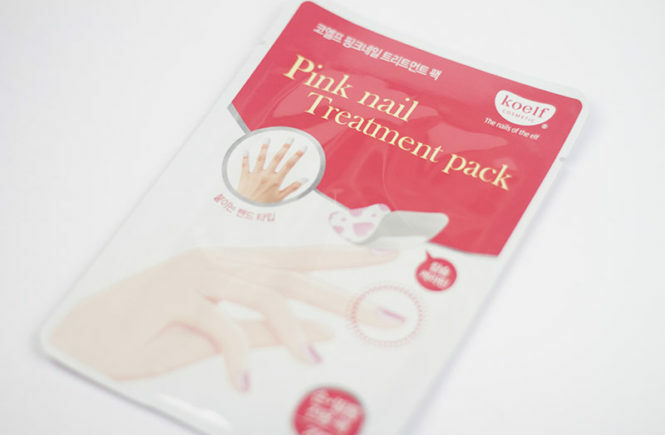 I would say that this as a similar amount of product to the Face Shop and Etude House cushions, which is good. 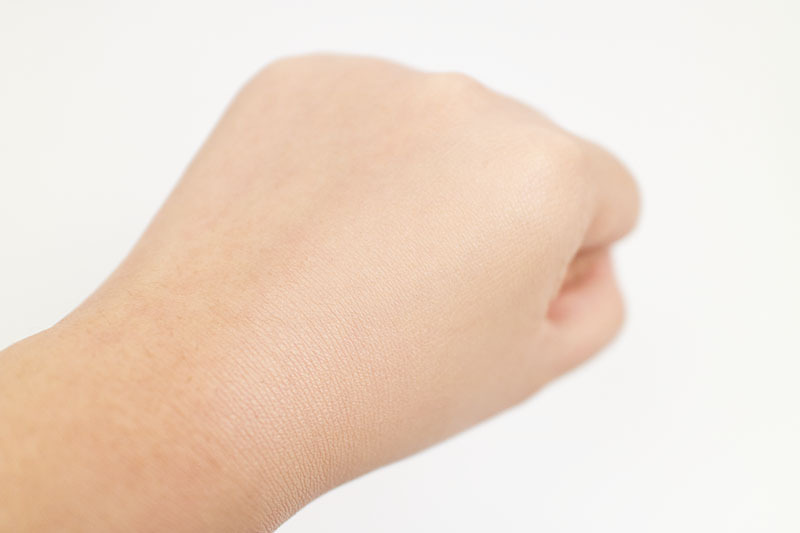 Below is the swatch with half of my hand covered. I think it’s pretty obvious where the product has been applied. I picked a colour that is slightly lighter than my complexion (I am between a 21 and 23) so it has a nice brightening effect. The overall finish isn’t dewy, but has a light sheen. It feels moisturising and is really spreadable and even. 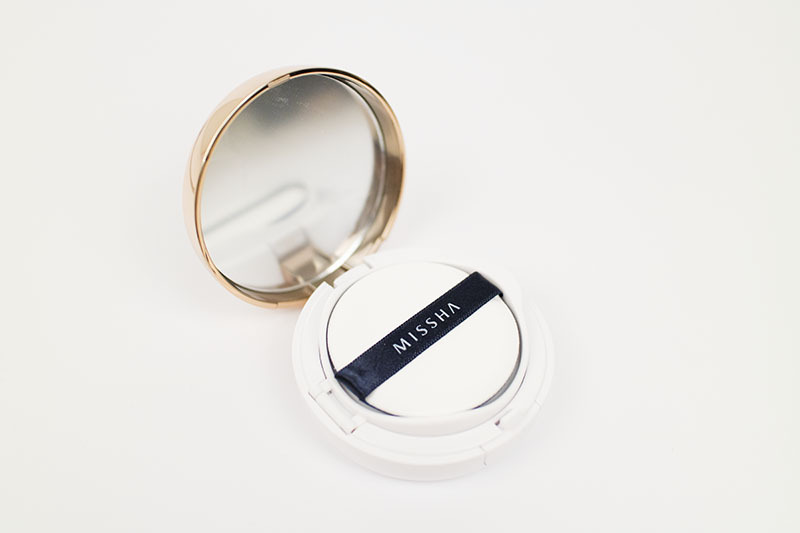 Like most other Missha BB creams that I’ve used, I also find that it has a slight ‘blurring’ effect and really easily covers up pores – which is why I’ve always returned to their products. Overall, I quite liked the product. I have been wearing it with my Clio Kill Cover concealer underneath and I always felt like it gave me a perfectly flawless complexion. 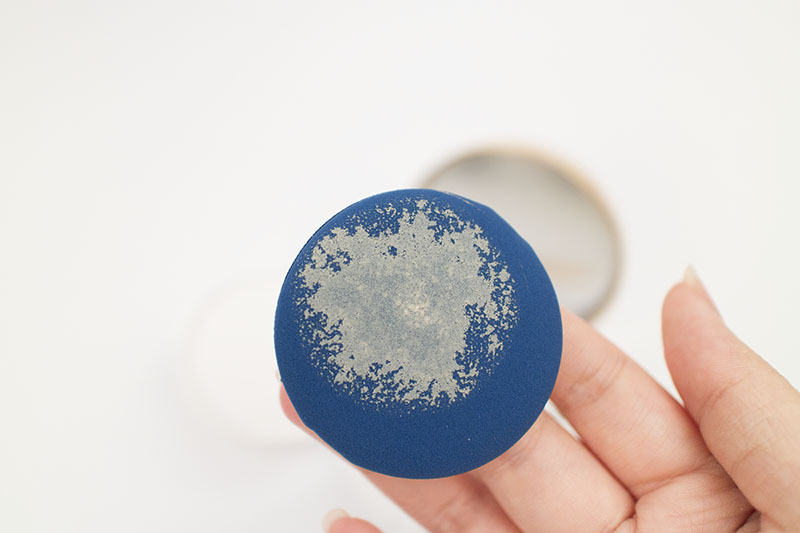 The coverage would be medium and it is easily buildable, so this is probably good for people who want to cover up some blemishes but don’t want a heavy, caked finish. 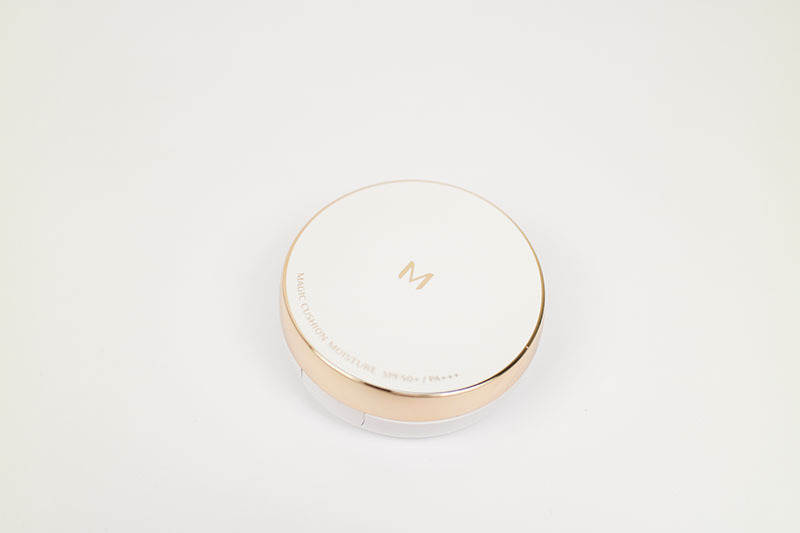 The product has a decent lasting power, working until around lunch time without any touch ups. When it starts to fade, however, it has the tendency to settle into dry spots. It isn’t too bad, but I think this is mainly because the formula is a little bit drier than my super dewy formulas. 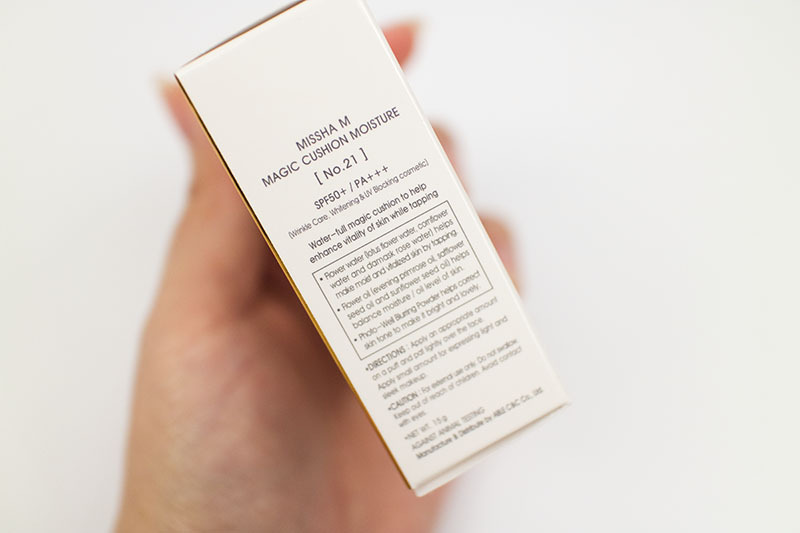 This would sit behind the IOPE and Clio Ampoule Intense cushion, but is more hydrating than Etude House. The oil control is decent too and I liked that, even though the formula wasn’t slick dewy, it didn’t accent dry areas. The product started showing signs of oil around my nose after… maybe six hours? 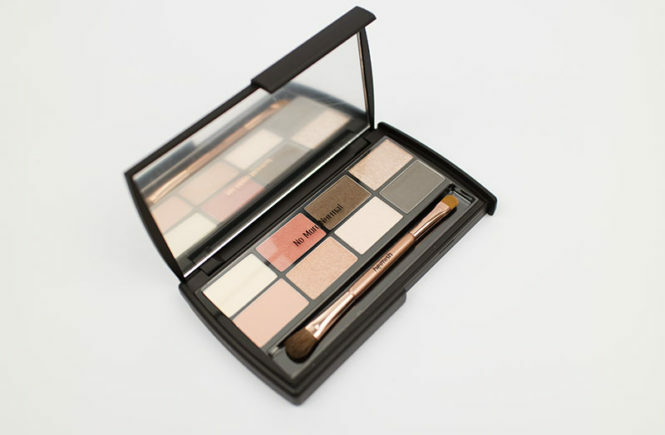 This product is easily buildable and blends in well with concealers to create a flawless finish. 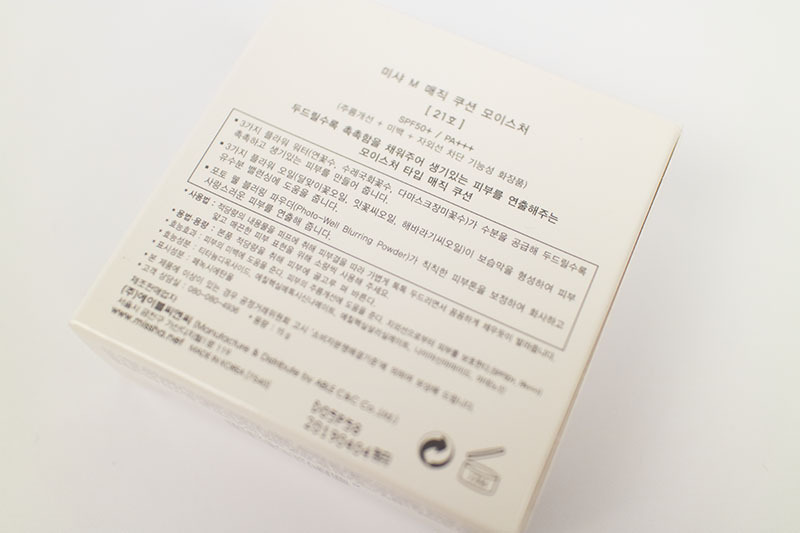 However, I noticed that it is a little sensitive to what skincare products are used under it – the Etude House collagen cream, for example, causes it to become very patchy. This is probably best used with a gel based primer, something that absorbs and dries much more quickly. I think it’s a nice, effective and affordable cushion but is definitely kind of average. The finish was nice and looked really flawless, but I feel like it is something I can also achieve with my other products which are a bit more hydrating too. Personally, I don’t think I will be rushing to repurchase it at the moment (as I also have a lot of other cushions). However, I would definitely recommend it to people who are just starting to look into Asian beauty products or those who are looking for an affordable cushion. 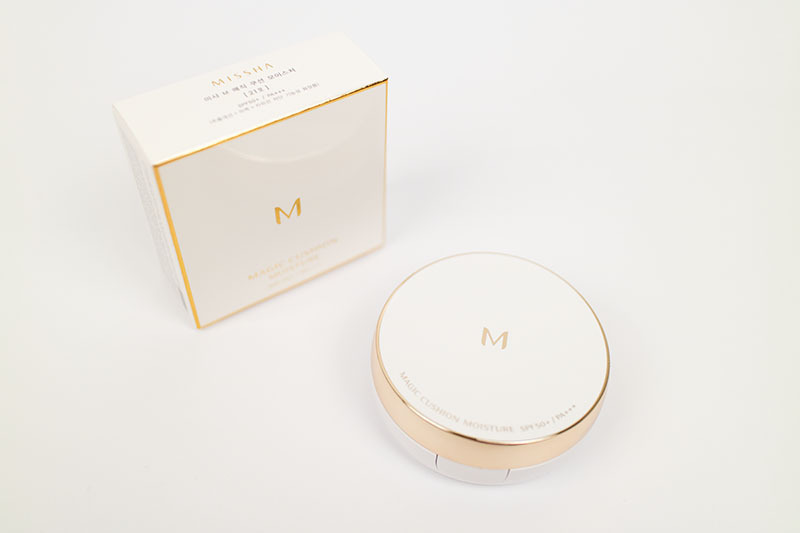 Its really good quality for its price and I will definitely be looking forward to testing more of Missha’s products. This is a buildable product, so be a little more light handed with it so you can build up the coverage only in areas that they are needed. This allows for a more natural finish and better control over your application.